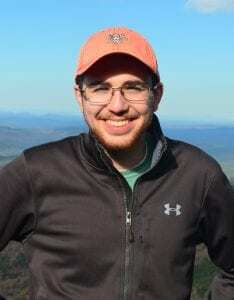 Honors College alumnus and Marine Biology major James Peyla ’18 received a Fulbright U.S. Student Program grant to conduct research in Australia. Peyla, who was also a Goldwater Scholar and an Aiken Fellow while at the College, also spent time as an undergraduate interning at the Marine Biological Laboratory, National Oceanic and Atmospheric Administration, Smithsonian Institution, and Woods Hole Oceanographic Institution. 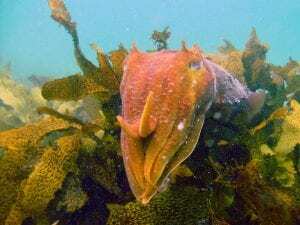 Currently, Peyla is studying the effects of ocean acidification on the Giant Australian Cuttlefish at Adelaide University. His research has focused on the distribution, skin structure, and behavior of cephalopod mollusks. He will work under Dr. Zoë Doubleday to study acidification effects by analyzing a time series of museum specimens spanning decades from collections across Australia. He hopes also to determine the effects of elevated seawater acidity on the development of cuttlefish embryos. The results of his investigations will inform our understanding of the resistance and resilience of marine organisms in the face of global climatic changes. Peyla is an aspiring zoologist with interests in ecology, evolution, and psychology. After returning from his Fulbright experience in Australia, he intends to enroll in a Ph.D. program to specialize in the study of cephalopods. In the audio clip below, you can listen to James Peyla discussing his research on a local Australian Broadcasting Corporation show.